THE official story of Billy the Birdman is now complete and looking back over the past six episodes of this blog, it tells the story of a gifted successful young man on the verge of achievement cruelly cut short by War. 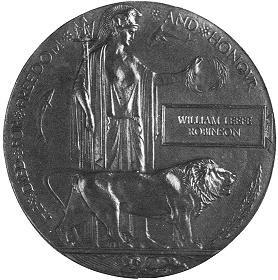 William Leefe Robinson had all the silver spoons required of a good start in life, but died at 23, and thought by many to be the victim of the most wasteful demonstration of poor Military leadership and flatulent blustering national leaders on both sides in World War One. Like the many millions who shared his fate, whole generations were wiped out, and it is those we should remember with pride. They gave their lives for what? Leaders and politicians of all countries who waved the flag of national pride before diplomacy could take effect. Even now a century later, it still cannot be justified and never will be. Deserving only a headline: WHY? WHY? WHY? To remember the centenary, The Queen’s Theatre Community Company is playing its part with a Dave Ross, Gerry Sweeney and Patrick O’Sullivan musical called Paper Planes. 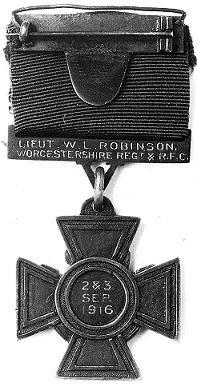 The story of William Leefe Robinson and his fellow pilots who flew rickety string bag planes from Suttons Farm Airfield later to become world famous as RAF Hornchurch. The bravery and sheer courage of our forefathers will never be in question, and this is a spectacular and moving tribute to them played out by a cast of 60 keen amateur theatricals of all ages. Drawn from Havering and beyond, the Musical is from Wednesday July 30 to Saturday August 2, at the Billet Lane Theatre. Directed by Patrick O’Sullivan, with music by Steve Marwick and Chorography by Liz Marsh, the professionals are working the massive cast into a fast moving and deeply felt spectacular tribute to the fallen, and giving them a voice to the generations that have never known conflict. The airships were 200m long and capable of flying at 70mph up to 13,000 while carrying five tonnes of bombs and 10 machine guns and a hydrogen gas capacity of 794,500 cu f) to 1,126,000 cu ft.
Against these leviathans, the British Pilots had an underpowered aircraft and a ceiling of 12,000 feet. 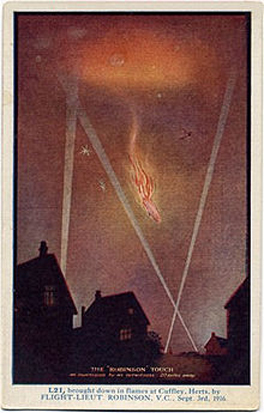 the British pilots also ran the risk of being hit by the over zealous anti aircraft guns dotted round the capital, but also being swept with fire by a burning airship. It is difficult to imagine the terror experienced by the people of London and other targets, for this was total war, the first time experienced by the civilian population. The early years increased the terror, and the airships were frequent visitors with the crews indiscriminately lobbing bombs over the side to detonate on crowded areas in the process killing hundreds if not thousands of innocent people. It seemed as if there was no answer to this scourge or retribution for the tragic loss of life of innocent civilians. The airships seemed invulnerable floating on a cushioned multi cell frame of hydrogen, a gas lighter than oxygen, and dangerously inflammable. The raids began in Spring of 1915, with the crews soon learning the advantage of a stealthy approach to their target. They could float above cloud in comparative silence with engines at low revs. The first indication the terrified population had of their presence was the busting of bombs killing and maiming women and children in their beds. 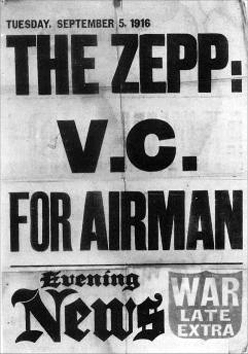 They suffered a year of this terror with no respite or promise of any, so imagine the elation and euphoria when Captain William Leefe Robinson, flying from Hornchurch on the night of 2/3rd of September, was the first British pilot to turn airship SL11 into the dreadful deathly burning hell as the hydrogen gas that kept the airship afloat, exploded and sent the craft cascading down in a fire ball that was visible in most parts of London. It crashed in Cuffley in Hertfordshire, killing Captain, Wilhelm Schramm, who along with his crew of 15, suffered an horrific death in the conflagration. At last London had an answer and were fighting back. The death throes of the airship were visible for miles reported to be from the streets of Staines to Southend, where spontaneous cheering and singing the National Anthem burst out. The wreckage site was swamped by onlookers and day trippers flocking on special trains and estimated to be 10,000 from London alone. Lieutenant Frederick Sowery brought down Airship L32 a few weeks later on the night of 23/24 of September sending it crashing down in flames near Billericay, killing Captain Werner Peterson and his crew. 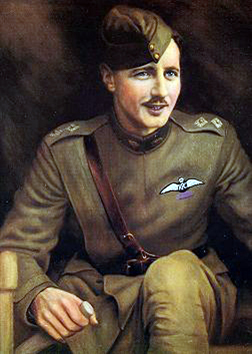 The third success over a week later saw Lieutenant Wulstan Tempest intercept SL.31 and send it crashing in flames near Potter’s Bar, in Hertfordshire. Captain Heinrich Mathy perished and Lt Tempest had two lucky escapes, first from falling burning wreckage from the airship and then crashed in fog while landing back at Suttons Farm. The breakthrough was in the ammunition used by the British. Until the night when SS L11 was dispatched, the ammunition used in the BE2c machine guns was ordinary bullets. However, new ammunition had been developed by autumn 1916. They two types of explosive bullet developed by J Pommeroy and F Brock and an incendiary bullet (Buckingham). The incendiary round also had the advantage of leaving a streak of light along its flight path showing where the shot was going. In effect this was the first use of tracer. Mixing the ammunition signed the death warrant of the Zeppelins, as the explosive Pomeroy and Brock bullets blew gaping holes in the gas cells releasing large quantities of flammable hydrogen into the atmosphere to be ignited by the incendiary Buckingham bullets. A new lit sight developed by Sergeant Hutton and the glowing tracers of Buckingham bullets also made hitting the Zeppelins a lot easier. The heavy losses in airships forced the raids to stop in 1917. PAPER PLANES by Dave Ross, Gerry Sweeney and Patrick O’Sullivan runs for five performances at the Billet Lane theatre, from Wednesday July 30 to Saturday August 2 starting at 8pm each evening and a Saturday matinee beginning at 2.30pm. 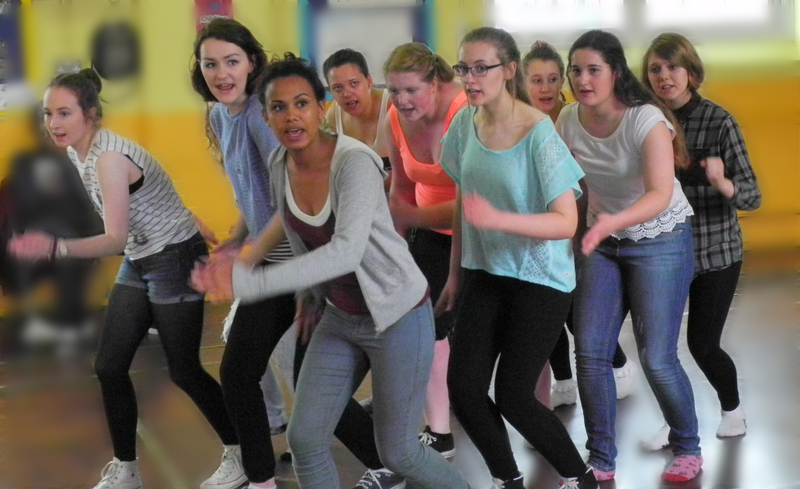 Tickets for Paper Planes are available from the box office on 01708 443333 from £10 to £15.